Whats the code for black around the windows on the later VL's ? Im positive I've read it somewhere on here but couldnt find it. Awesome amount of info! Will help me out a tonne! cheers dude!.... on a completely unrelated question - can someone please tell me if there is an article on how to mount b&m shifters, above console or underneath? Most likely. 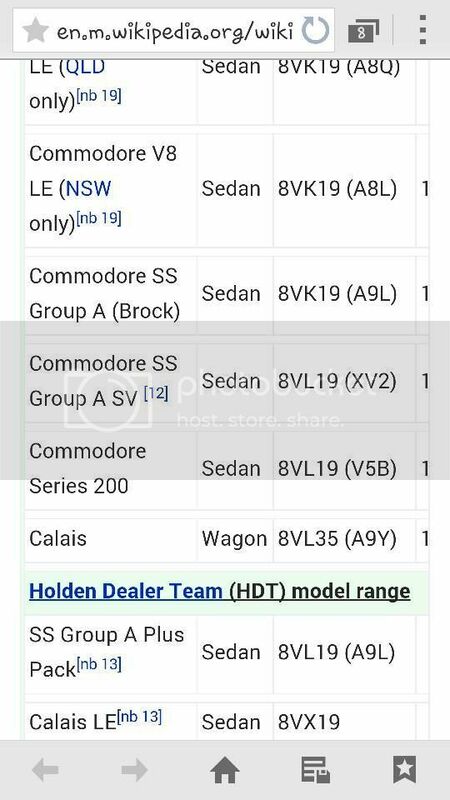 That's the code for an SL sedan with 6 cylinder Exec pack (only used for turbo's in July and August 1986 and changed to A8R after that). F##k looks like I just bought Australia's most expensive executive, definately been ripped by the looks. Is the SL/Executive rear centre console MX Grey colour? They would sell this colour in touch up paint cans in Super cheap, repco wouldn't they? Just wondering what are the 4 digits before the trim colour codes on some VL's? Melbourne built cars are plated with that trim/paint combination code. 3038 is the code for 1J052 Alpine White with Cerulean interior. Adelaide didn't bother for some reason. so after looking thru this list i still cannot see my car i can see options but my paint code does not match up to the vehicles stated above 1F003-D yet my car in neither a fire vehicle nor a nitron (as far as i can tell) it is a base model exec with Limited Edition decals on the boot and along the doors below the bump strips/moulds. 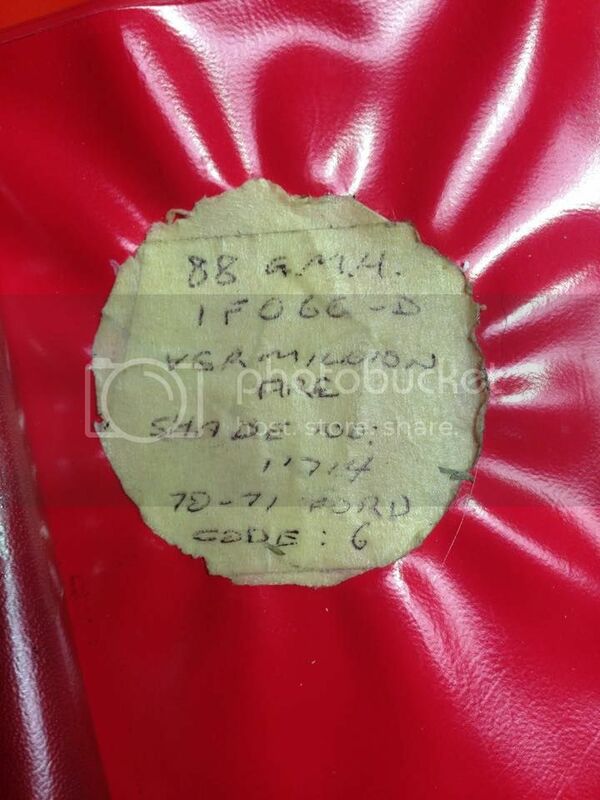 Apparently it is a dealer pack, also with the vin decoder it tells me my car is an 88 but it is a sep 87. Any help would be much appreciated also i was told there were approx 500 made but cannot find any info anywhere. thanks in advance. Not even coming up in The Bible that I have. Do you have a pic of the plate? 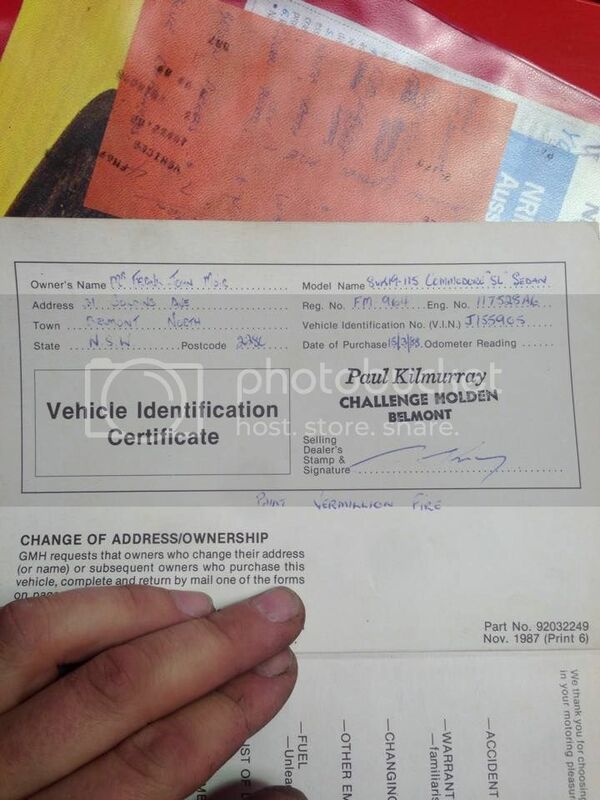 Vermillion fire is an XY gt colour , owner option from factory? Possibly a fleet colour, or maybe a trial colour. First one I've ever seen in it and I can't find 1F066-D listed anywhere. 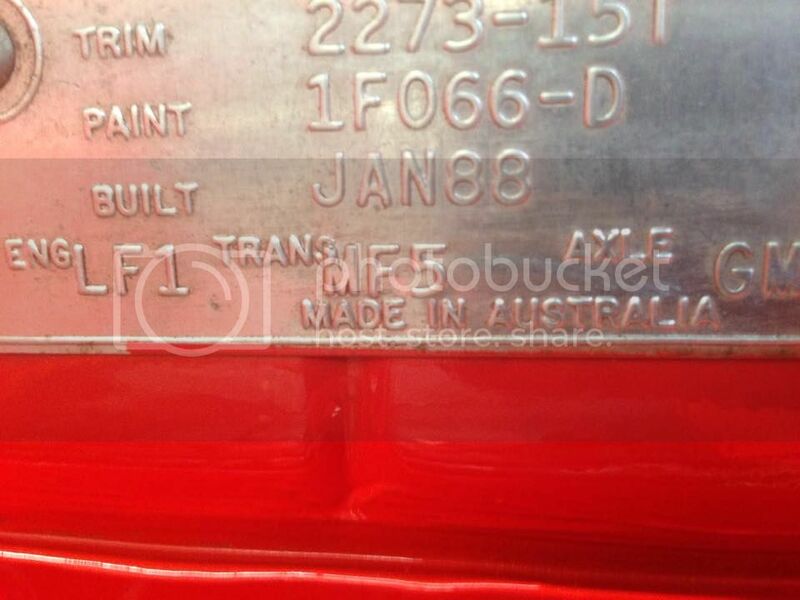 Holden had a 1F078-D Vermillion from the early eighties though. They're listed already, but they have the wrong codes for the LE's at the top of that wiki list. A9Q was the LE code. State or engine didn't make a difference to the code. does a 335 pack exist anywhere? lv2 m78?